with back pain at some point in their life. for work absence after mental health issues. BACK AND ACTIVE TRAINING - WHO ARE WE? 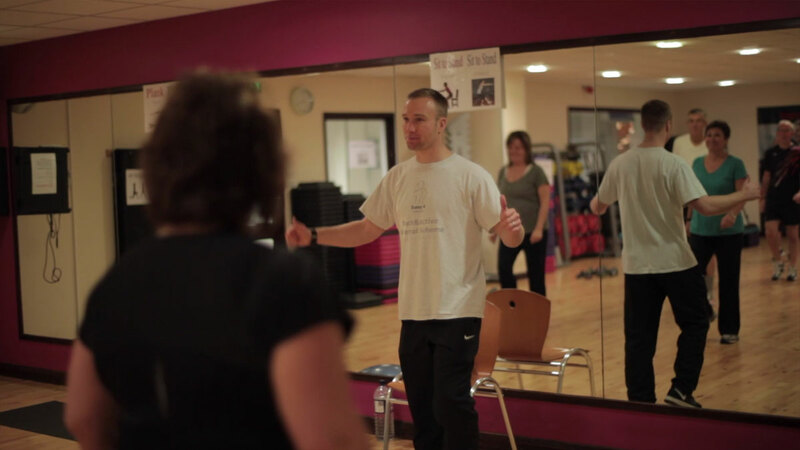 Back And Active Training is the fastest growing back care service within Basildon. With 15 years of experience in providing specialised back care training our main objective is preventing consistent back pain. Clients are coming from Harold Hill, Chelmsford, Emerson Park, Billericay, Fobbing, Horndon and Canvey to receive the best lower back pain prevention training in Essex. Ask yourself one question - Would you like to solve the ISSUE or the PROBLEM? Back and Active Training is here to prevent the ISSUE. Alternatively to solve the PROBLEM you can continue to spend your money on Chiropractionsers, Physio’s or Osteopaths. Low back pain can be defined as pain, muscle tension, or stiffness localised with or without leg pain (Sciatica), and is classified as acute when persists for less than 12 weeks. Back and Active Training provide you with two options 1. One to one training 2. Circuit Class. Designed and conditioned one to one training strengthening routines. A simple but effective exercise training circuit with exercises relating to everyday use. Take a look at our detailed case studies and follow the journey for some of our clients who previously suffered with back pain. Take a look at our guide to some of the most commonly asked back pain questions. Back and Active Training have experience in dealing with various medical conditions which are known to cause back pain. A prolapsed or slipped disc This is when a cartilage disc in your spine presses against a nerve causing numbness, back pain, tingling sensations and also other body parts to feel weak. Sciatica Which is when the nerve connecting your lower back to your feet becomes irritated. This not only causes pain, numbness and tingling but also can make the lower back, buttocks, legs and feet all feel weaker. Ankylosing spondylitis This is when the joints in your spine swell causing pain and stiffness. The pain can feel better with movement and will feel worse when you initially wake up. Spondylolisthesis Which is when a bone in the spine slips out of position. The effects of spondylolisthesis include stiffness and pain in the lower back plus tingling and numbness. The cause of back pain is not always easily indentified but it's rarely anything serious. The most common type of back pain occurs with no obvious cause and is known as non-specific or mechanical back pain. Although still painful they are not usually anything serious. The pain can come from your bones, joints and also the soft tissues close to and inside your spine. Pain which can feel better or worse depending on the position you are in. (Sometimes the pain will subside when you sit or lie down). Pain that generally gets worse when you move. (You should never totally stop moving your back as not moving at all can cause more damage). Pain that comes on either gradually or suddenly. Pain which is caused by poor posture or because you have lifted something incorrectly. (sometimes there can appear to be no apparent reason for this pain). Minor injury pain including pulled muscles/muscle strain or pulled ligaments/ligament sprains. Pain which comes on when you are feeling run down or stressed. Pain that gets better without needing treatment within a few weeks.